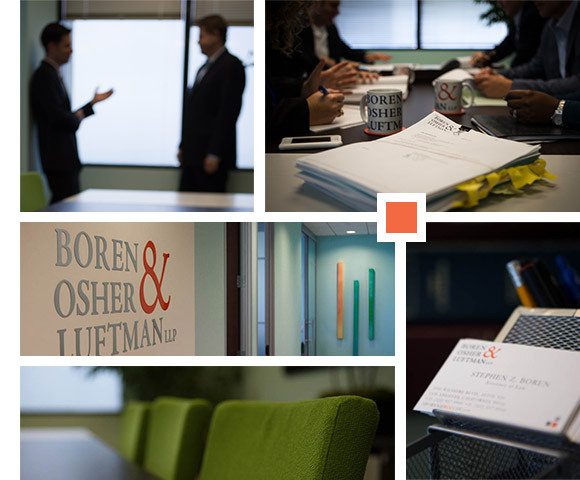 At Boren, Osher & Luftman LLP, we are committed to delivering legal services of the highest quality in the most creative, efficient and cost-effective manner possible. Our attorneys received their training and practiced law at some of the largest and most reputable firms in Los Angeles. We established Boren, Osher & Luftman LLP, to provide more clients access to the expertise of a large firm, with the responsiveness and personal attention typically found at smaller firms. This combination of big firm experience and small firm treatment helps us attract and retain clients of all sizes, from the individual to the small business owner to the large corporate client. We strive to create lasting personal relationships with our clients that allow us to remain responsive to their needs and to grow with them.